Get paid WEEKLY and give yourself a RAISE whenever you want. Today I want to celebrate one of the newer coaches under our mentorship. 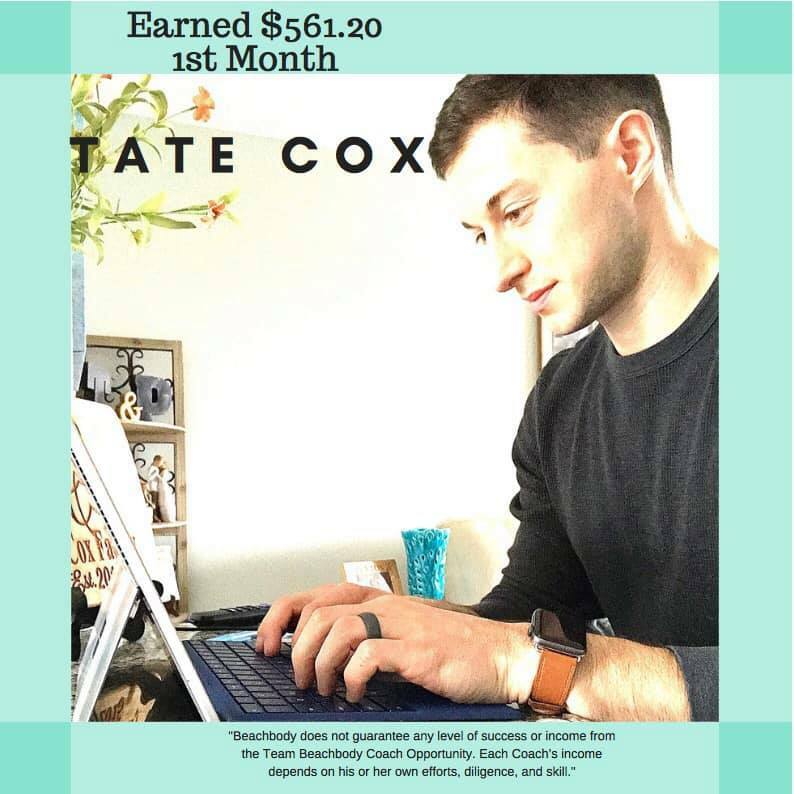 Tate Cox has been a coach for under a month and has earned $561.20 since beginning. One thing that I LOVE about seeing this is that Tate and his wife have a mortgage on their first home and that mortgage is $600 a month. 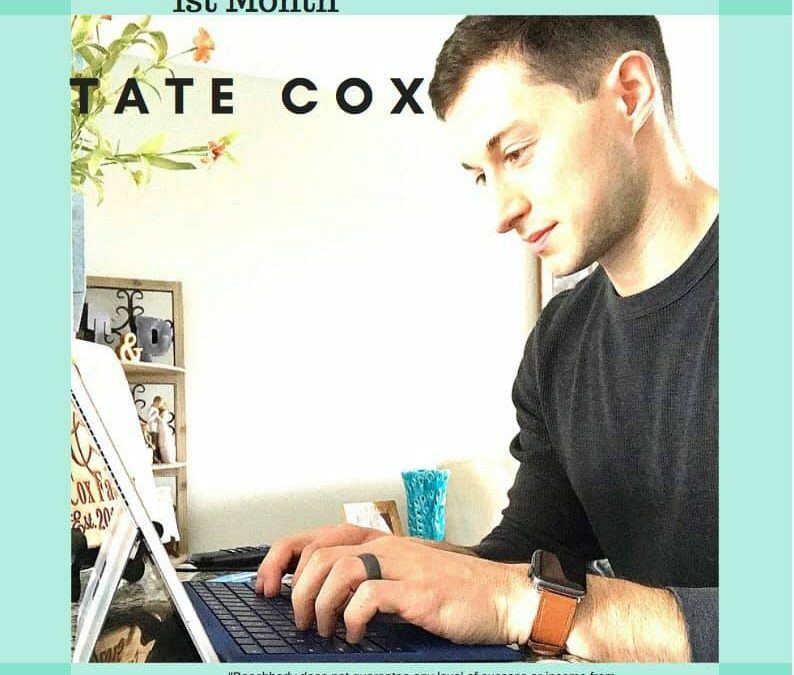 So seeing the EXCITEMENT in that text from him this morning was awesome because it means that by investing his spare time in helping people achieve results with the BEST home fitness programs and meal plans, not only are his friends beginning to see results but Tate is building a BUSINESS from home and on the side. You work hard at your job, maybe you love it, maybe you don’t but THEY dictate how much you get paid and what they feel you are worth. I believe it’s time that YOU DECIDE what you are worth and when you get a RAISE by how much you grow and how many people you help. My role is to teach you how to build a business from home and on the side. I will give you the tools, training, weekly team training calls, one on one mentorship and guidance, you’ll get a website, our company will ship products and do returns, there will be perks and rewards, your income will grow depending on the effort you put in, and you’ll be a part of our team and mission. I want you to write down what YOU would do with an extra $500 a month or $12,000 a year? Would you travel? Pay of mortgage faster? Pay of school loans? Pay off debt? Save for retirement? Put your kids in dance? I BELIEVE IN YOU and know that you have what it takes.